On February 14th, people all over the world celebrate Valentine’s Day and red is without a doubt the romantic color of the day. However, by its nature, red is an emotionally strong color. So, rather than inundate you with interiors brimming with red, let’s explore the possibilities of a few little subtle pops here and there. These might just be what you need for your last minute Valentine’s Day design ideas for your romantic enjoyment. This is a sweet example of a romantic surprise for your Valentine. Install this bright white roller blind with a whimsical red heart that announces “Happy Valentine’s Day”. What a lovely addition to a romantic luncheon for your sweetheart friends. It doesn’t get much simpler nor more effective than these kiss and hug pillows to show your special someone that you care. 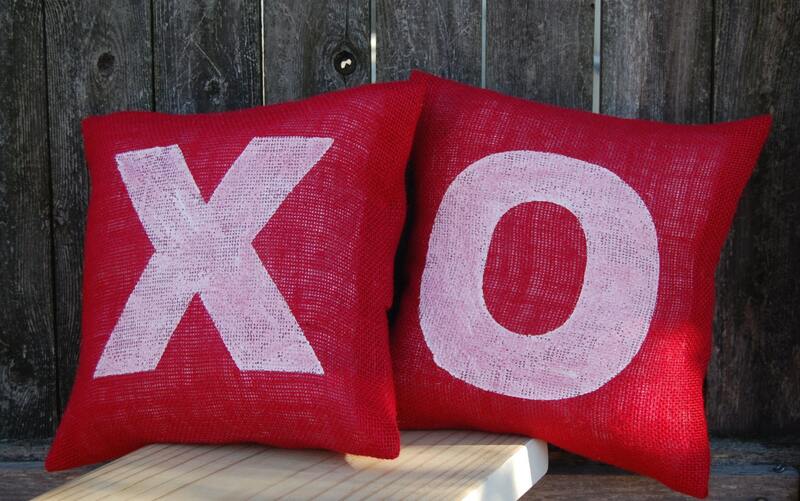 These are a charming creation in red burlap with big white letters for a timeless romantic message. 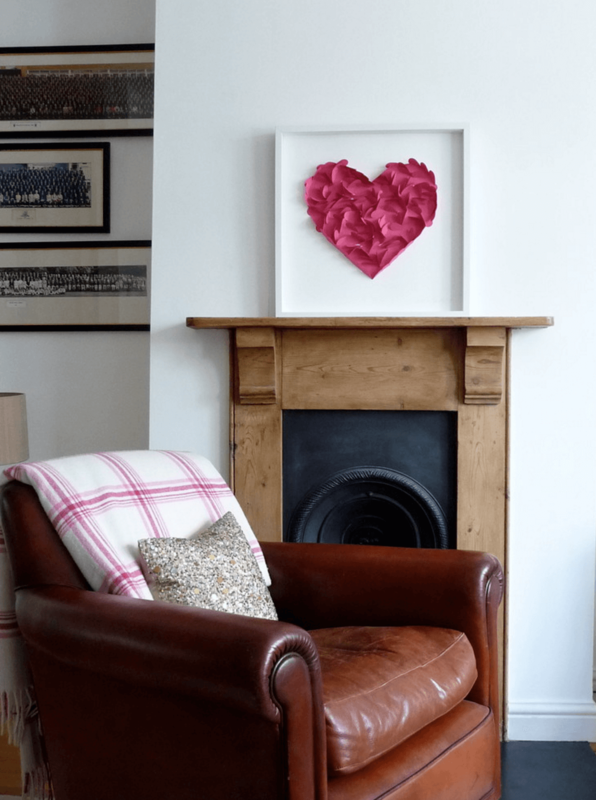 For a minimal approach in the living room, this white frame with a rosy-red flouncy heart in the middle perches charmingly on a natural wood mantle. 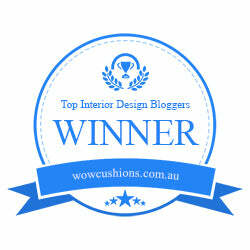 Rosy-red is highlighted again in the white and plaid cozy throw over the super-comfy leather chair. This is a great example of just the right touches of flourish. Valentine’s Day brings joy to your home with even the lightest touches of creative decor. We wish you a dreamy Valentine’s Day with the sweethearts in your life.